ⓒ&ⓟ2013 KBS MEDIA Inc. & YG ENTERTAINMENT Co., Ltd. ALL RIGHTS RESERVED. ⓒ&ⓟ2013 KBS MEDIA Inc. & YG ENTERTAINMENT Co., Ltd. ALL RIGHTS RESERVED. 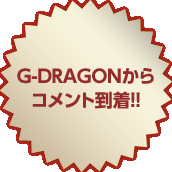 / ⓒ2013 avex entertainment Inc.